Southeast Asia serves as an excellent case study to discuss major transformations in the relationship between states. This book looks at the changing nature of relationships between countries in Southeast Asia, as well as their relationships with other states in Asia and beyond. A diverse region in many areas, open to outside influence in many fields, but not without dynamics of its own, Southeast Asia has been through centuries the site of states with very differing levels of power and in a variety of forms. It has also been exposed to powerful neighbours, seawards empires and contending world powers. Adopting a historical approach, the book analyses state relations against the background of regional and geopolitical developments from within and without. 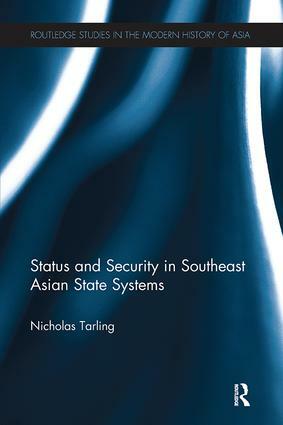 It discusses how Southeast Asian states of the 21st century can best preserve their security in the context of the rise of China, and goes on to look at the extent to which they can preserve their autonomy of action. Offering a long-term perspective on these issues, this inter-disciplinary study is of interest to scholars and students of Southeast Asian history and politics, world history and international relations.